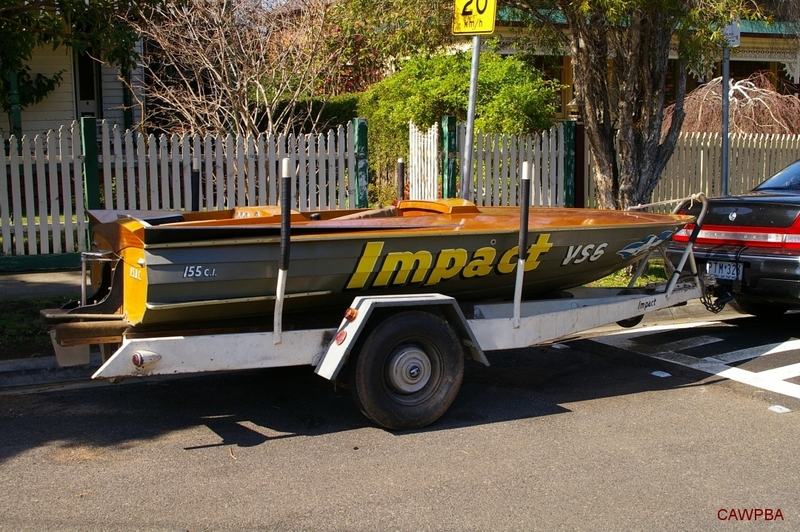 Impact is a Jack Eddy built 13' 6" skiff. 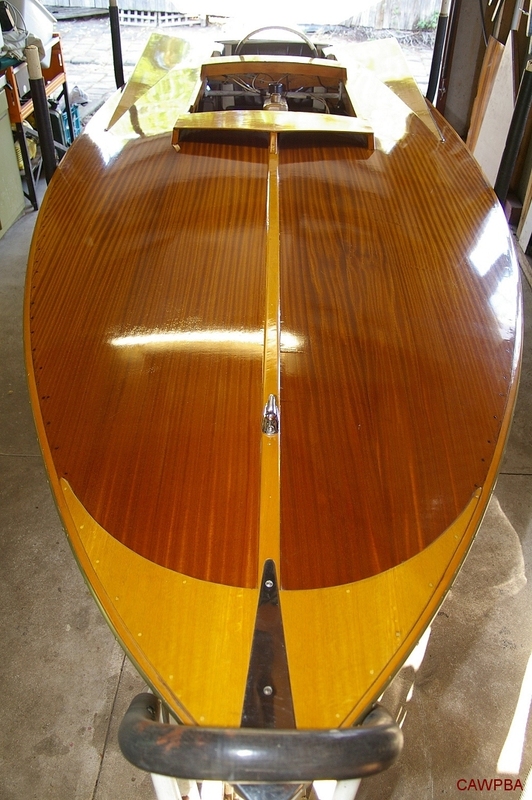 One of three identical hulls built in succession by Eddy, the hull was sold to Keith Hanson in Melbourne. 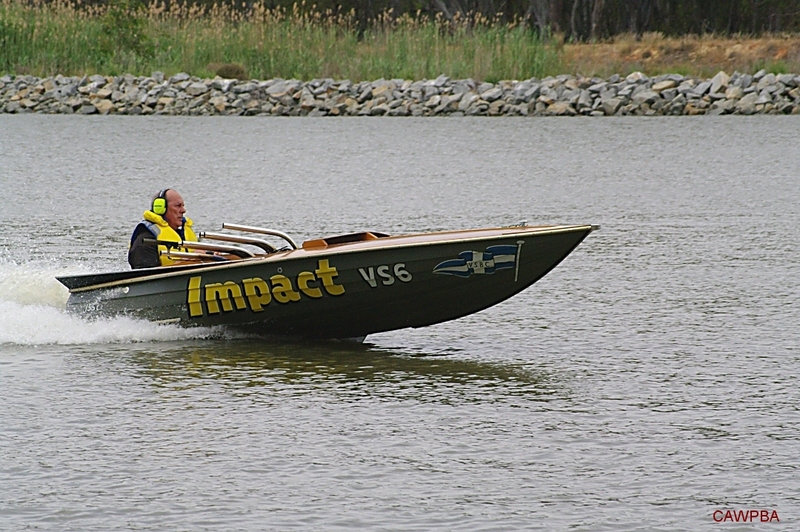 Hanson set the boat up to race in the 155 ci class and fitted a Holden 149 ci 6 cylinder engine. It turns out that Impact was the only one of the three never to race. Actually, Impact never got into the water - ever! 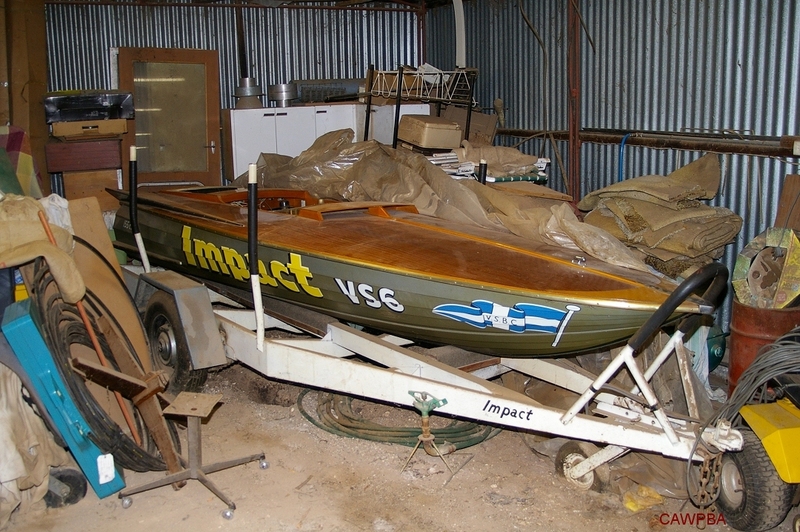 Before being stored, the skiff was completely fitted out, all painted up and ready to race. When found by Greg Carr, it was complete except for its triple Weber carburettors and manifolds, exhaust pipes, propeller and shaft and a couple of other bits and pieces, all of which had been borrowed over the years. The exhausts (zoomies) were found a few days later, as was the original timber engine cover. 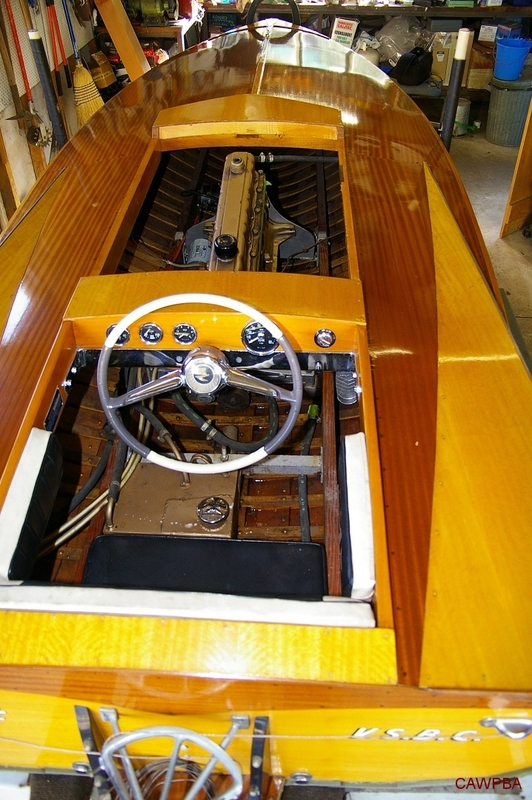 After a few decades of storage in a shed with a dirt floor, the boat needed a thorough clean. As various components had been borrowed off the engine over the years, oil and other fluids had seeped out of disconnected fuel and oil lines into the bilge. 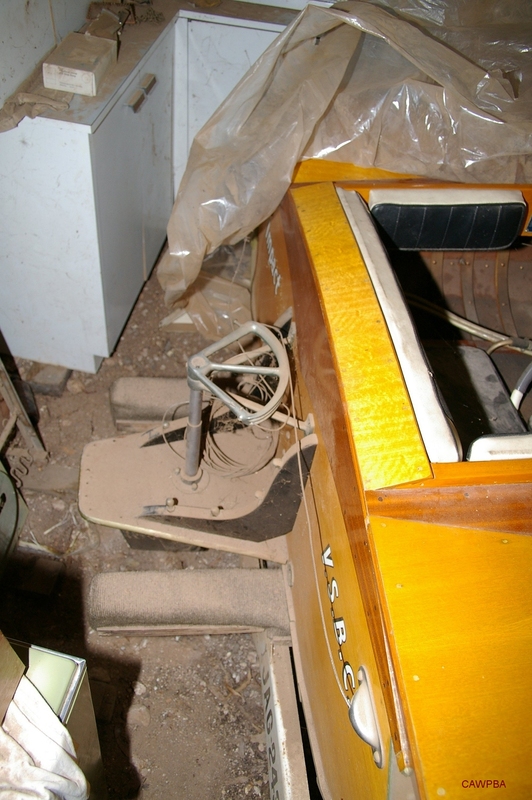 This then attracted dust and dirt, making the bottom of the boat look very “used” in places. Luckily, a quick blast with a low pressure cold water pressure washer removed the build up easily. The boat came up beautifully. The trailer, while not as new as the boat, is still in excellent order, although the cross-ply tyres that were fitted new 40 years ago were perished and suffered from permanent deformation through being flat for years. These have been replaced. 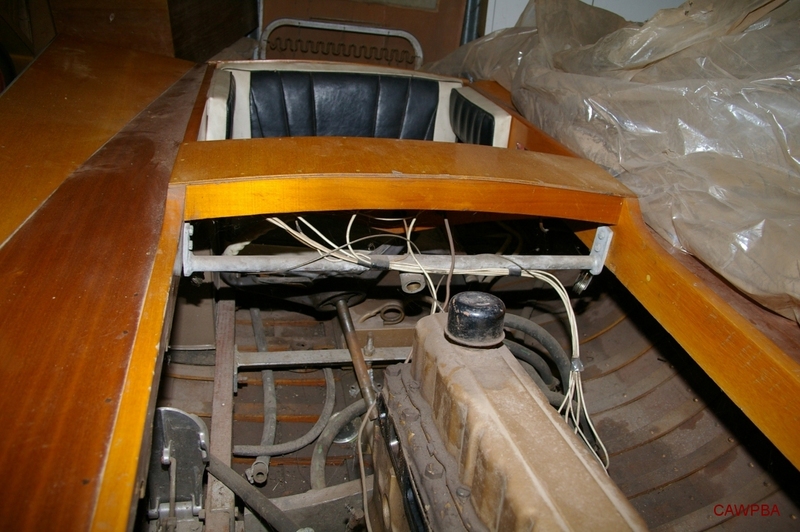 A set of triple Weber carburettors were obtained and fitted to the boat was a propeller and a shaft. The engine crackled to life in again in 2013, with the boat being launched for the first time in March that year. 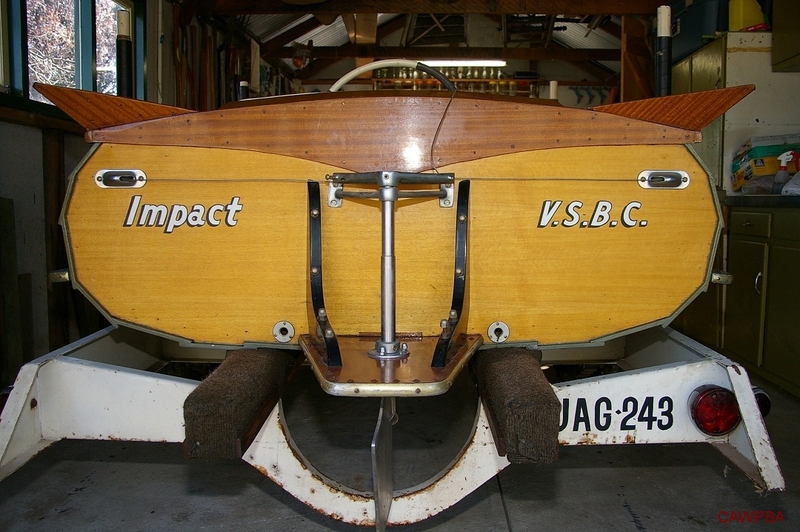 Impact is believed to be the only winged skiff in existence. Impact is now with new owner Stuart Beattie in Tasmania.